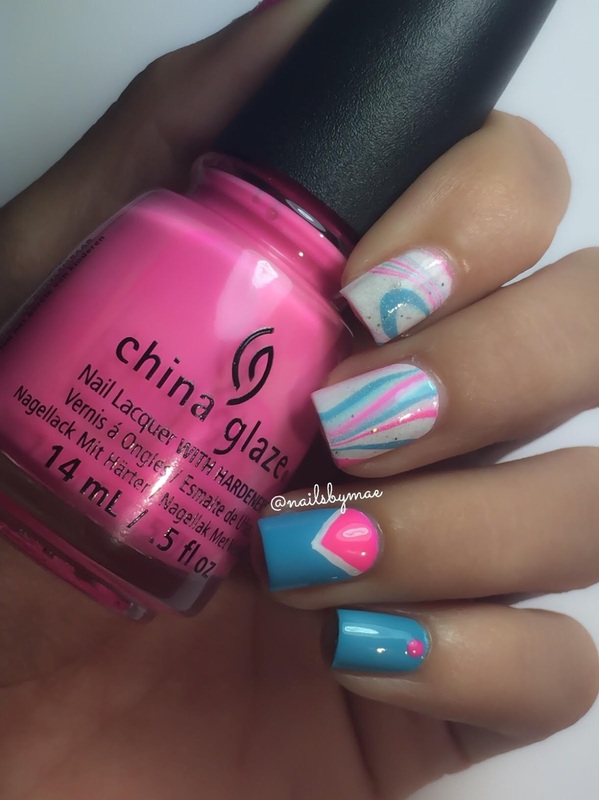 Today's guest post is from an Instagram nail friend, Sheily! My name is Sheily (@nailsbymae) and Im very happy that the wonderful Amber gave me the chance to do a guest post here on her blog! So I hope you enjoy it! In the line of Amber's style, I know she likes colorful manis, so I decided what better way than a watermarble to achieve this.. 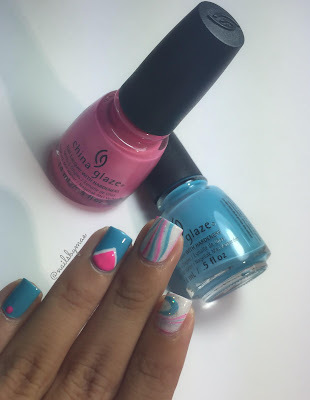 So here it is (Please keep in mind Im no watermarble expert ). 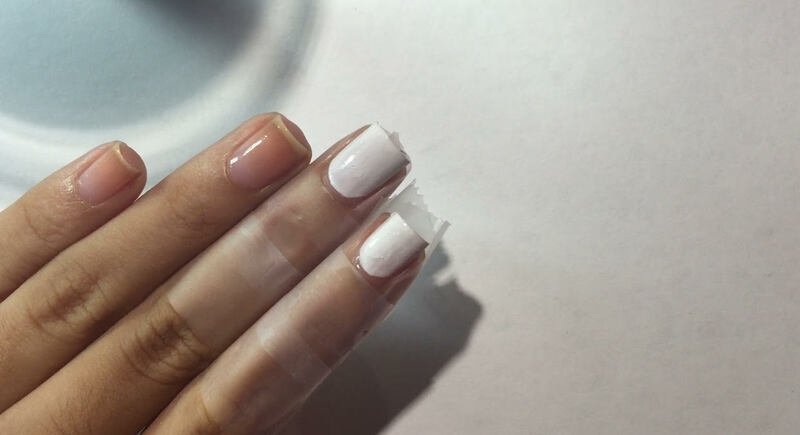 The better way for the color to really pop out is using a white base. And look at the final (macro) result! I'm thinking of starting my own blog so that can come really soon. Thanks again for having me here!! Thank you for sharing, Sheily! 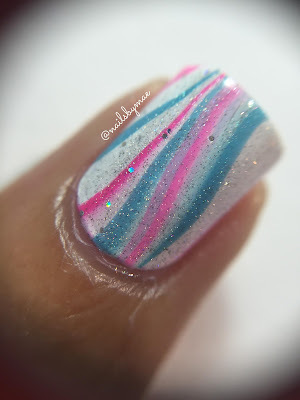 Your water marble is like cotton candy, I love it!